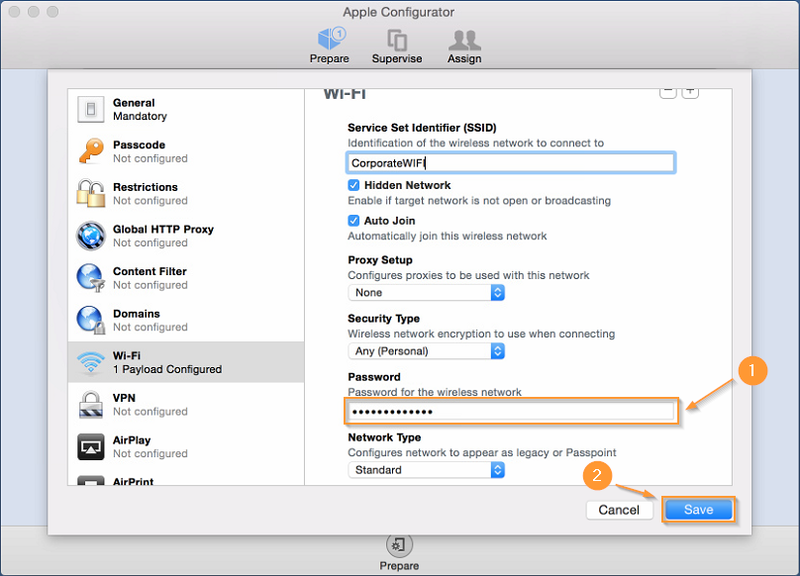 We have been able to create a WiFi policy using Pre-Shared Keys on iOS devices for a while but it requires us to use Apple Configurator as described below. 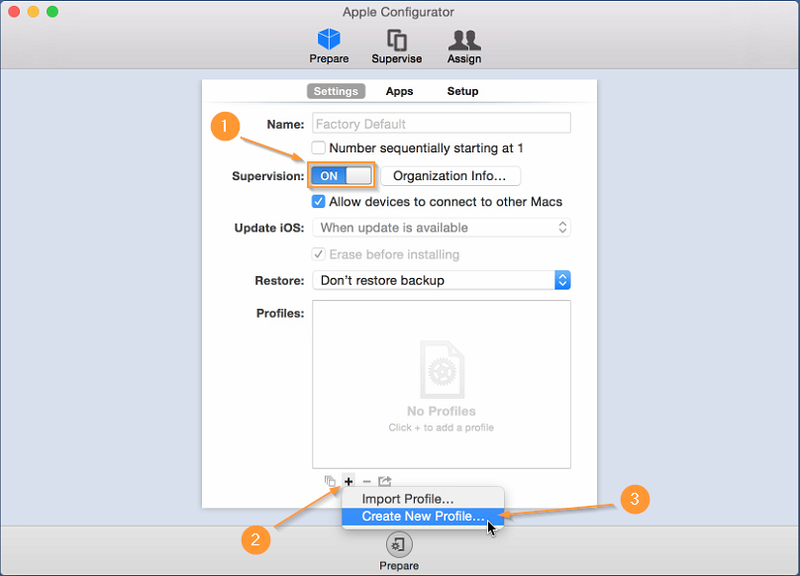 If you don't have a Mac or don't want to use Apple Configurator, you can check out this blog where I show you how to generate the policy online. 1. 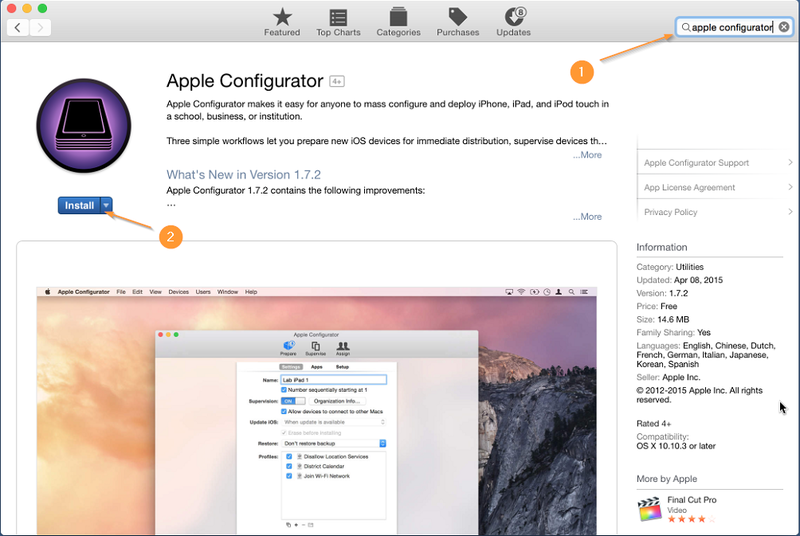 First, open up the App Store and search for Apple Configurator. Once you have located the app, Install it. 2. 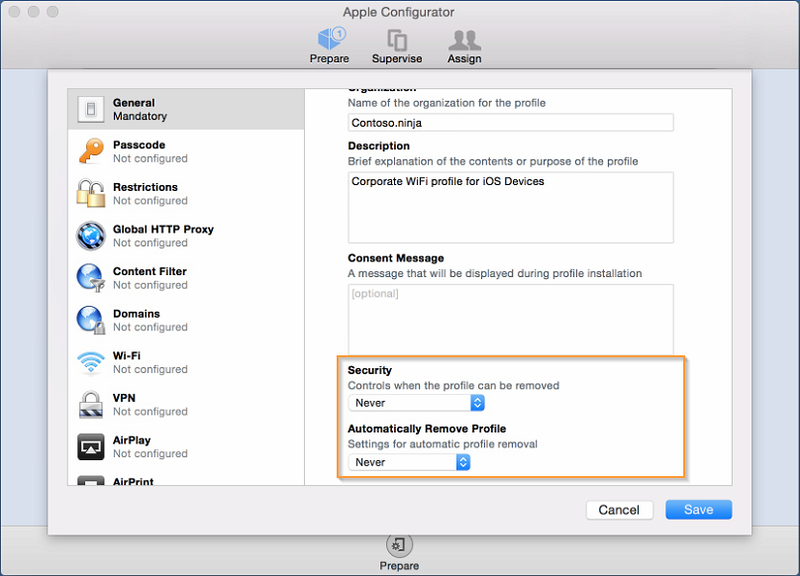 You may be required to input your Apple ID to download the Apple Configurator Application. 3. 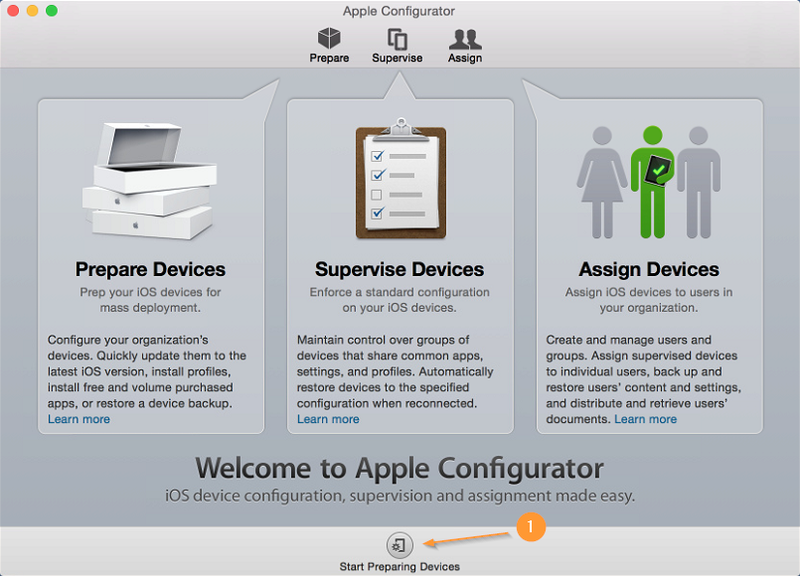 Once you’ve successfully installed Apple Configurator, open the application. You will see a Welcome screen explaining what you can do with the application. When you are ready select Start Preparing Devices at the bottom of the screen. 5. On the General Tab, enter the name of the profile and all the details about your corporation that you wish. Note: If you scroll down on this window you will see that there are more settings for Security on the profile. 6. 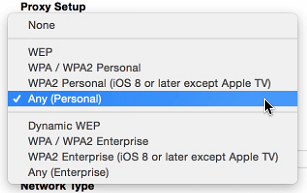 On the left panel, select the Wi-Fi tab and then select Configure. 7. 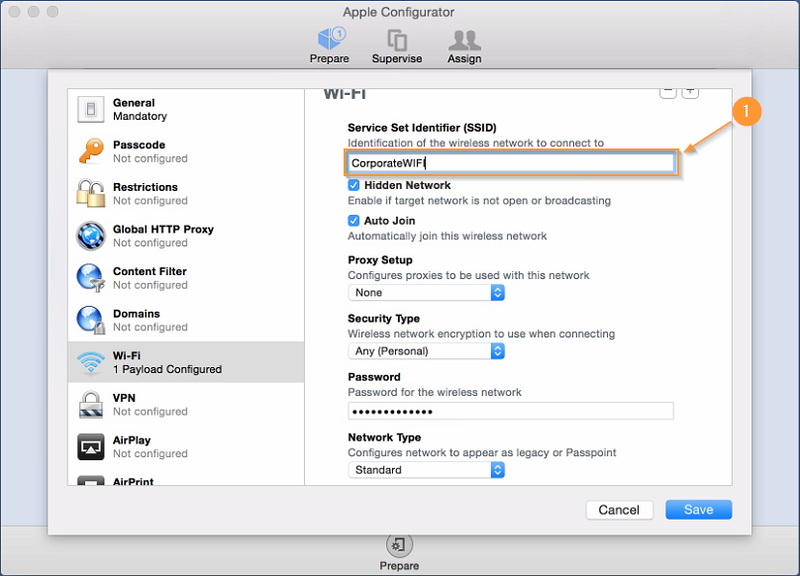 Enter the Service Set Identifier (SSID). And then select if the network is Hidden and if you want the device to Auto Join. 8. Next select the Any (Personal) for the Security Type. 9. Enter the network Password and then select Save. 10. Highlight the profile you’ve just created and then select the Arrow button at the bottom. 11. Select the location on where you want to save this file and select Save. 12. 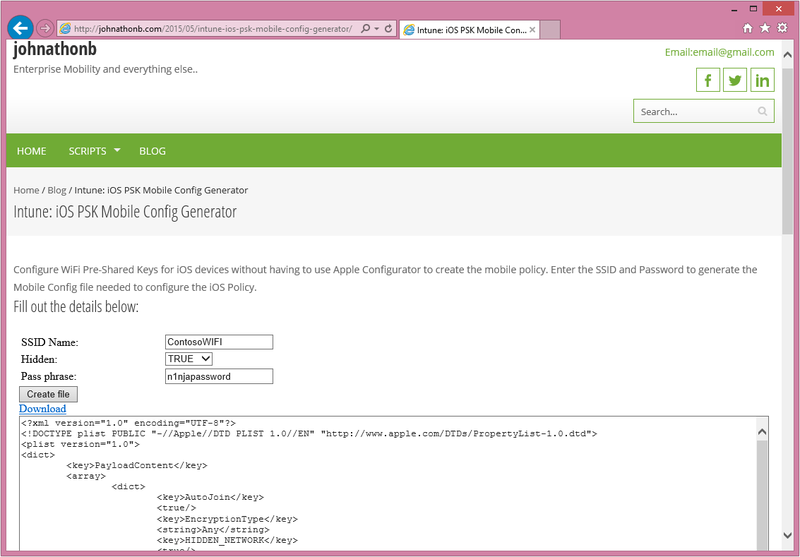 Now we have the .mobileconfig file we need to be able to create the Intune policy for iOS Devices. Note: We can also accomplish this task very easily by using the Intune: iOS PSK Mobile Config Generator tool. 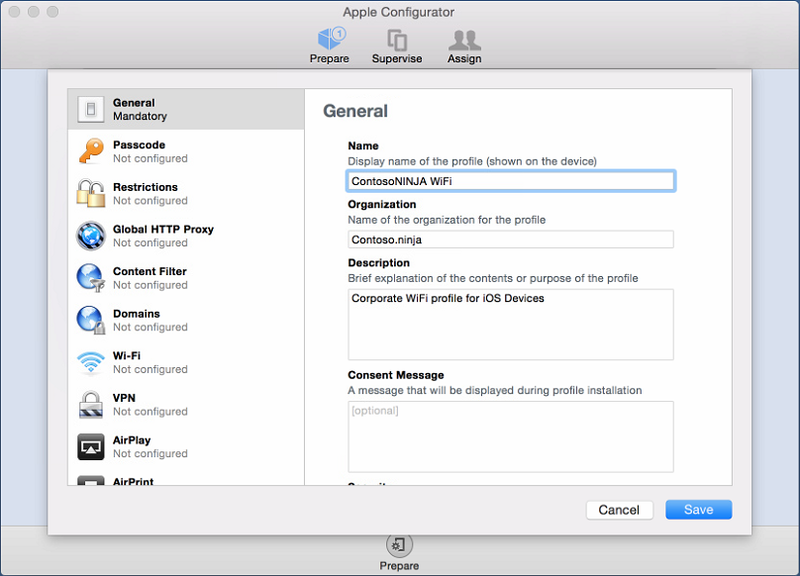 Check out this blog to see how you can bypass the Apple Configurator all together to produce the Mobile Config file needed to produce a PSK Policy in Intune for iOS Devices. 13. 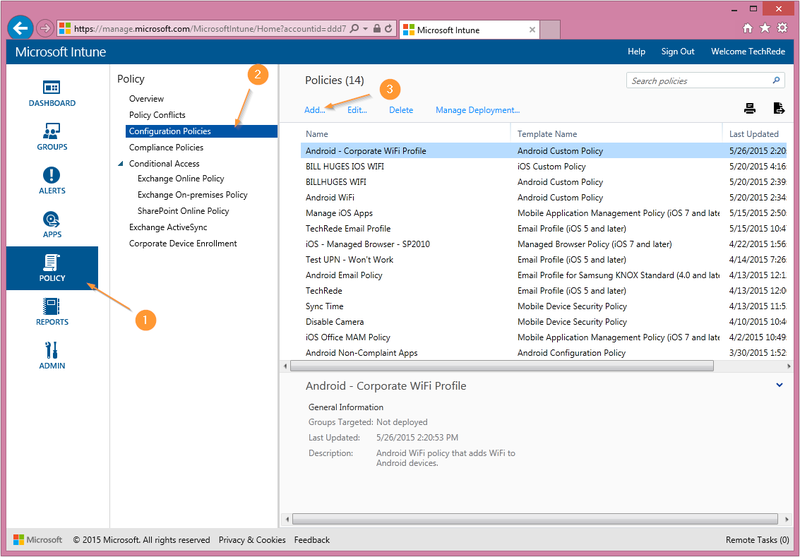 Open up the Intune Admin Portal and navigate to Policy and then to Configuration Policies and select Add. 14. The Create a New Policy dialog box will appear. 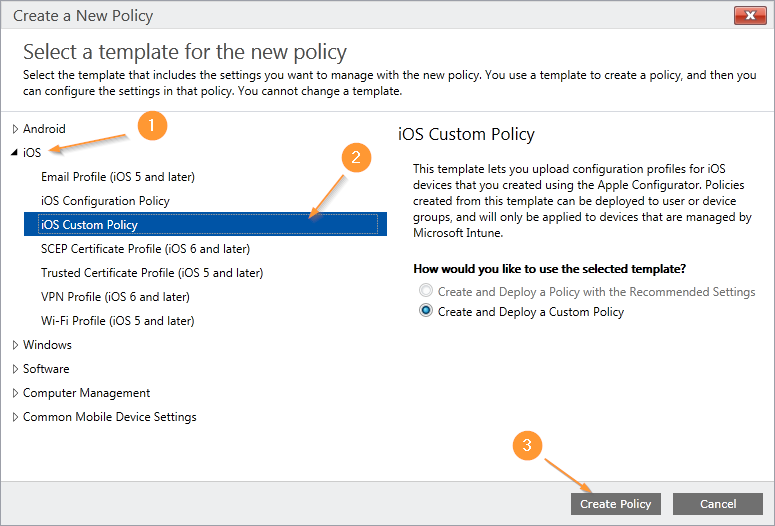 Select iOS and then iOS Custom Policy and finally Create Policy. 15. 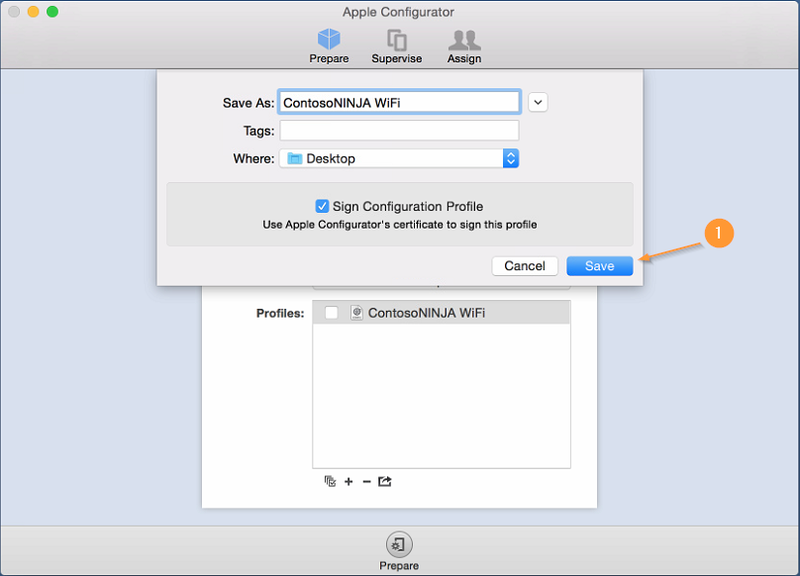 Fill in the Name, Custom configuration profile name and then select Import… Locate the .mobileconfig file that you had made with Apple Configurator and import it into Intune. One completed select Save Policy. 16. Once the policy is saved you can deploy it to the proper groups. 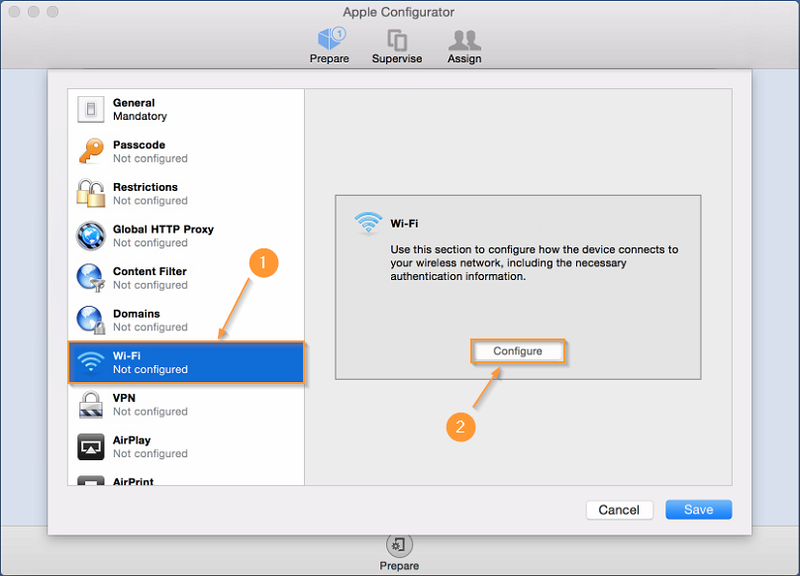 Once the devices download the configuration policy the device will automatically connect to the WiFi network when it is in range. 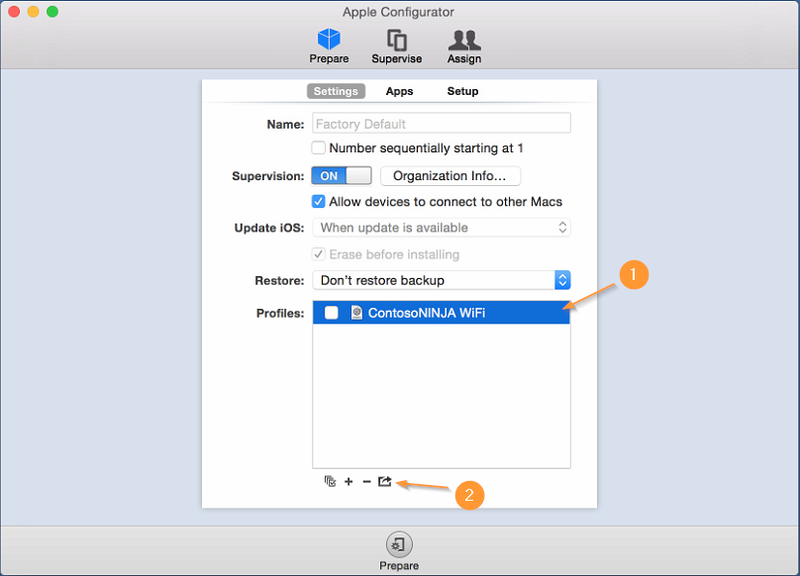 You can do this with almost any policy you create in the Apple Configurator menu, although, some that depend on the device to be Supervised do not work completely. I will be posting another blog about Supervised devices and which policies work and don’t work when pushing the policies with Intune. We can also accomplish this task very easily by using the Intune: iOS PSK Mobile Config Generator tool. 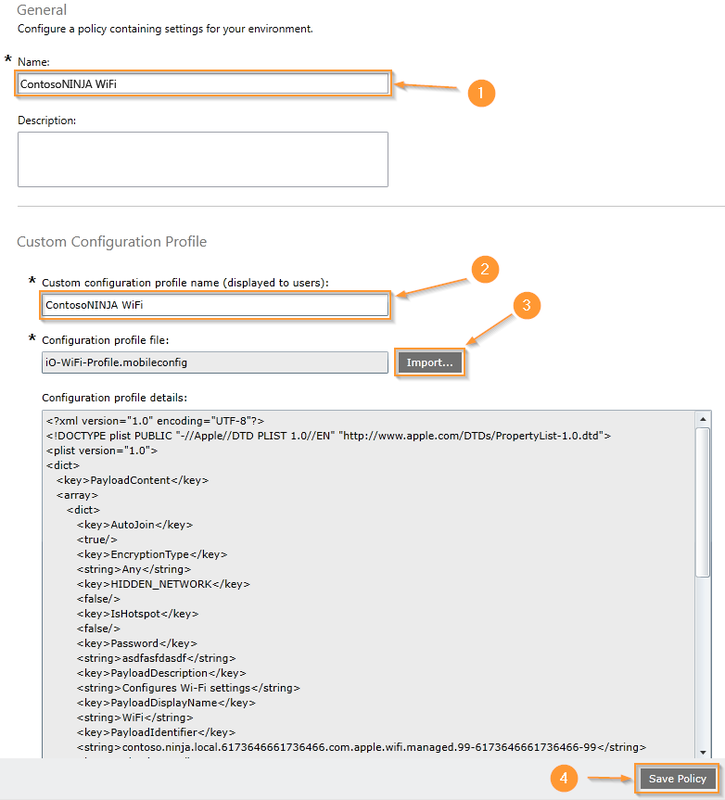 Check out that blog to see how you can bypass the Apple Configurator all together to produce the Mobile Config file needed to produce a PSK Policy in Intune for iOS Devices.